Synopsis: David Packouz and Efraim Diveroli were grade school best friends, and when Efraim hears that David is needing a better job to provide for his family he offers him to be his business partner as an arms dealer. They start out dealing with smaller contracts, but once they land a 300 million dollar contract with the U.S government things get a little more complicated. 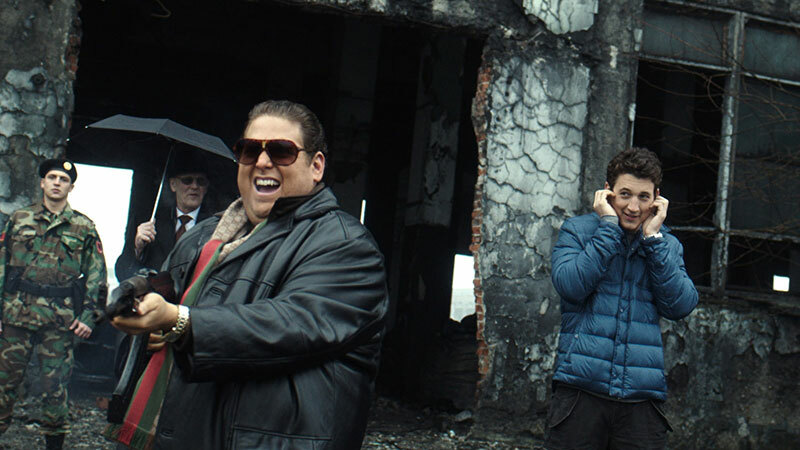 Review Summary: Jonah Hill and Miles Teller are an extremely charismatic duo on screen. Their performances really transport this movie to a higher level than it should be. Its not a bad story by any means, and the directing style of Todd Philips definitely fit the bill. War Dogs definitely isn't a new look at cinema, but you will have some fun going on this exhilarating ride with both Hill and Teller.